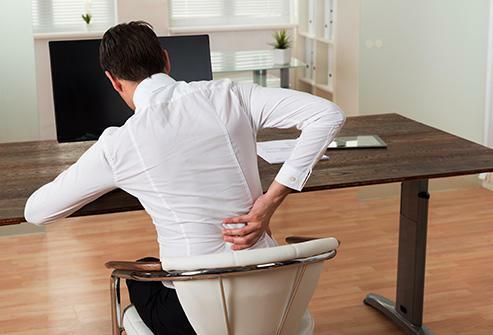 Do you know the bad habits and coping methods that cause back pain? AINICS to use the American family doctor’s think tank to introduce you to 15 causes of back pain and how to deal with them. Often sitting this way flattens the natural curve of the spine and damages the cushioned disc, which can cause arthritis and other problems. Coping methods: Correct the sitting position in front of the computer, sit upright and support the back, and adjust the chair to a height where the feet can be naturally placed on the ground. Sitting too long is one reason for causes of back pain.This can stress the back muscles, neck, and spine, especially when sitting upright. Coping methods: Whether sitting or uncomfortable, sitting for a long time is not good for the back, try to move around for a few minutes every half an hour, and move around the head and neck. 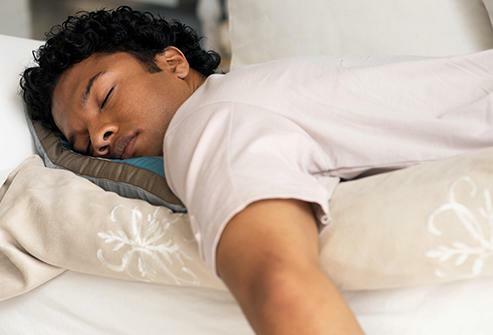 Some people who lie asleep may cause or exacerbate back pain. Coping methods: If it is difficult to change the habit of lying down, you can roll the towel under your knees, which can promote the natural curvature of the back as much as possible. Try different pillow heights to find the most comfortable height for your neck. This can easily be twisted to the neck or waist, especially when there is a problem with the back. Coping methods: If you do not want to change your posture, you can sleep on a very soft pillow or none pillow to keep your neck in the correct position. The sleeping position that most helps to relieve back pain is sideways sleep. It is recommended that people with back pain and pregnant women sleep on the left side, and add a pillow between the legs to relieve the pressure on the buttocks and waist, and the legs will bend slightly toward the chest comfortable. The mattress is harder to support the back, but too harder to meet the body’s natural curve. Everyone’s acceptance is not the same. The ideal mattress also depends on the way you are accustomed to sleep, whether you have back pain problems. How to deal with it: You can sleep on the floor for several nights and don’t put it on the spring bed. 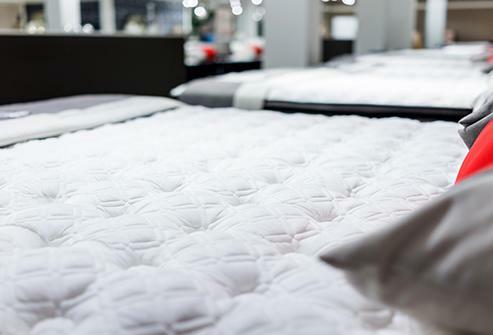 If the mattress can cause back pain or other problems, you can negotiate with the store and return. Unbalanced nutritional intake is one reason for causes of back pain. 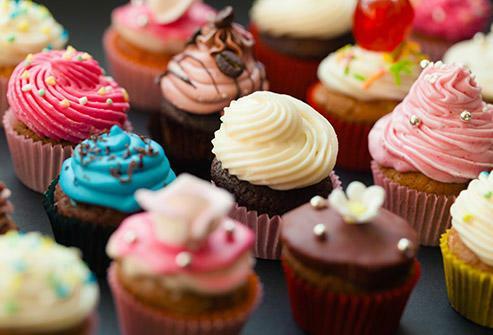 Regular consumption of foods that are not beneficial to health, can lead to inflammation and deprive the body of the nutrients it needs to stay healthy. Coping methods: Eat lean protein, whole grains, fruits, vegetables, and healthy fats (such as salmon and avocado) to strengthen back muscles, bones, and soft tissue. Ensure that you get enough calcium, vitamin D, phosphorus and other nutrients. 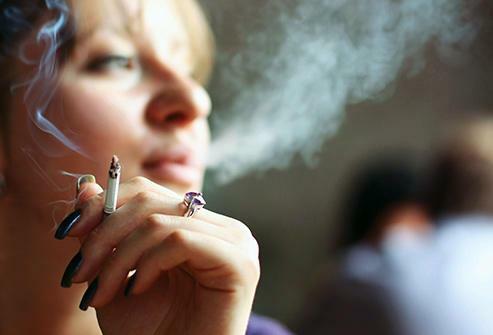 Smokers are three times more likely to have back pain than other causes of back pain. This is because smoking can affect blood flow, including blood flow to the spine, which can cause problems in the intervertebral discs more quickly. In addition, smoking causes the bones to become fragile, causing osteoporosis and affecting healing speed. Cough caused by smoking can also cause back pain. Coping methods: Smokers should take quitting smoking as their primary task and seek help from a doctor. Too heavy a backpack will increase the back burden and make the muscles that should support the spine exhausted. 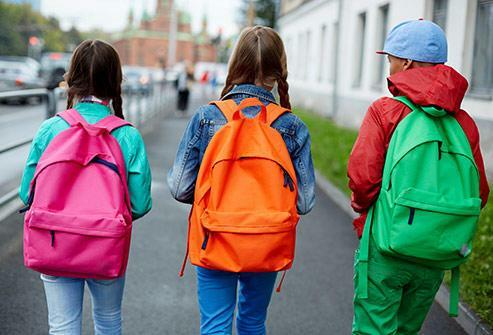 Coping methods: For students who need to carry a lot of books, their backpack weight should not exceed 20% of the child’s weight. Large, padded, adjustable shoulder straps help distribute the weight evenly, but they must be shoulder bags and should not be placed on one shoulder. Wearing high heels is one reason for causes of back pain. Wearing high heels may overuse your lower back muscles, affect your posture and hurt the spine, especially at older ages. How to cope: If you need to wear high heels during work hours, you can prepare a pair of commuter shoes to wear on and off duty. Stretching your legs often, such as rolling your feet on a tennis ball, helps prevent pain and strengthen your muscles. The spine needs strong back and back muscle support, and those who are not exercise are more likely to have back pain. Coping methods: You can practice lifting weights, or you can do something like climbing stairs and lifting things every day. Low intensity exercises such as walking, cycling and swimming can protect the disc. Get into the habit of regular exercise. Do not exercise excessively at one time. This may hurt the body. Excessive exercise is one reason for causes of back pain.Excessive exercise will not allow the back to rest, it may also lead to back pain, and even include yoga to relieve pain. 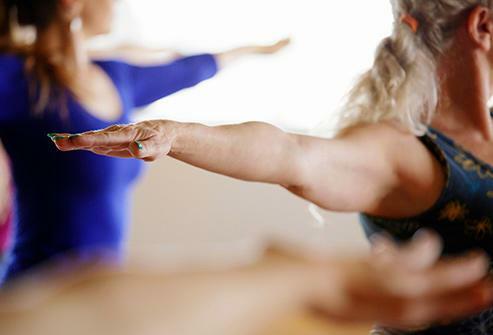 Coping methods: Reducing the amount of exercise can still be alleviated by soothing yoga for back pain. It is best to participate in yoga classes so that yoga instructors can teach you to use the correct posture, and then use online teaching resources or videos to do some exercises. Just 10-20 minutes a week can make you feel better, and too much can cause harm. If a professional cyclist likes to hunched over his or her hands (a player who has undergone rigorous training can guarantee the safety of such a ride), or if the car cannot be adjusted, stretching or twisting the back while riding can cause back pain. 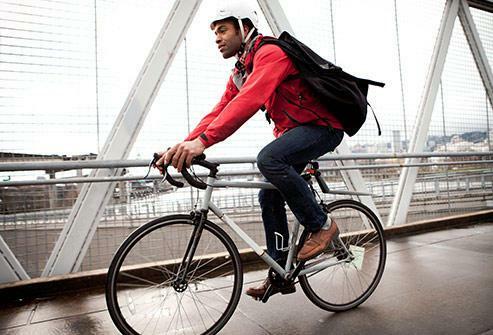 How to deal with it: Choose the right bike that is comfortable to ride. Never flatten the natural curve of the spine. When doing this exercise, if the hips, back and thigh muscles are too tight, it will pull the spine of the lower back and cause pain. Coping methods: The front or side plate supports (supporting the body with hands, elbows, and feet) are easier to do than sit-ups, and they can enhance core strength better. Potbellied is one reason for causes of back pain.You may know that obesity will increase your probability of low back pain, but it is certainly not known whether the body’s fat spots have different effects on low back pain. If the abdomen is fatter, the pelvis will be tilted, increasing the curvature of the spine. This will put more stress on the spine and thus be in a compressed state for a long time. Coping methods: Do more exercise to exercise your waist muscles. For example: Fencing exercise can not only exercise the waist (small muscle groups to maintain balance), but also exercise gluteus maximus. In addition, weight loss is also a good way. After losing weight, lower back pain will naturally reduce. Excessive weight can make the back of the bones and muscles tight, especially when the weight gains too fast. 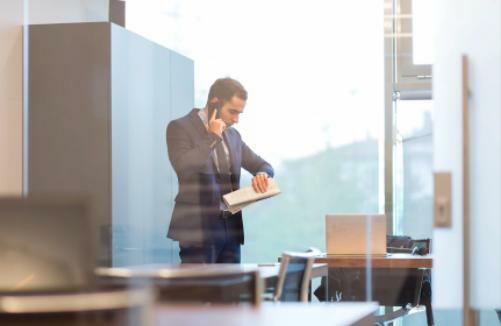 Too many calls is one reason for causes of back pain.People who make regular phone calls are at higher risk of back pain because the neck is often in a bent state while making a phone call. When bending over to read or write, the pressure on the spine increases by nearly 55 pounds. As the elderly suffer from multiple arthritic diseases and degeneration of the spine, the neck is bent more easily and causes back pain. How to deal with it: Keep your head up and just look down. Good posture is a posture that can keep your head upright and expand your chest. Is there a better posture? Yes! That is when you call with a wireless headset to avoid neck bending. About AINICS Massager: Ainics Massager is an electric massager online store. Ainics focuses on being your expert of health & Beauty administration. Ainics is the original massager factory for more than 15 years. Ainics massagers are fashion,powerful but unbelievable price. If you are looking for handheld back massager, wooden foot roller massager,electric heating pad,foot massager,neck massager,leg massager,back massager,electronic pulse massager,eye massager,face massager,massage cushion,shoulder massager,massage pillow,massage chair,heated neck pillow,foot roller, Ainics online store will be the right place !